Today, January 28 is National Blueberry Pancake Day. Maybe mom will take us to breakfast. We know a couple restaurants that serve great blueberry pancakes. If she will take us, maybe we will meet some of you there also. Enjoy blueberry pancakes today, and many other days. This entry was posted in Holidays, Uncategorized and tagged Colorado Traveling Ducks, National Blueberry Pancake Day. Bookmark the permalink. oh my gosh, my favorite! And I happen to have fresh blueberries in my fridge 🙂 Enjoy your pancakes!! We love blueberries. 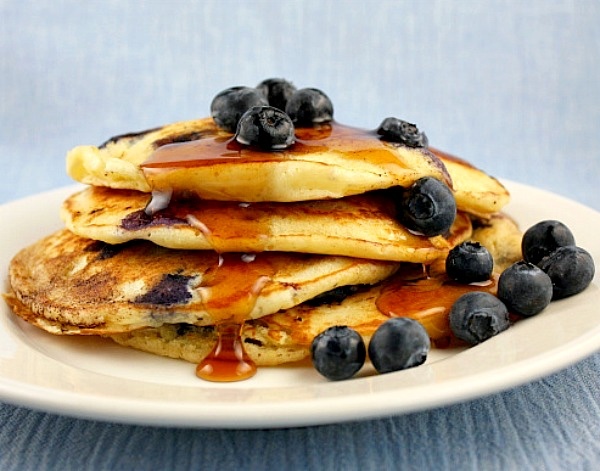 So, of course, we love blueberry pancakes. Enjoy your pancakes, also. Yum! Ducks, it’s lucky Justin Beaver doesn’t live close to you. If he joined in all these National Day feasts, he wouldn’t fit into his lederhosen any more! Mrs. ET, we ducks love to indulge in so many foods. And blueberry pancakes are near the top of our favorites. If Justin were here, we eat and then explore so much that he would remain trim and awesome!